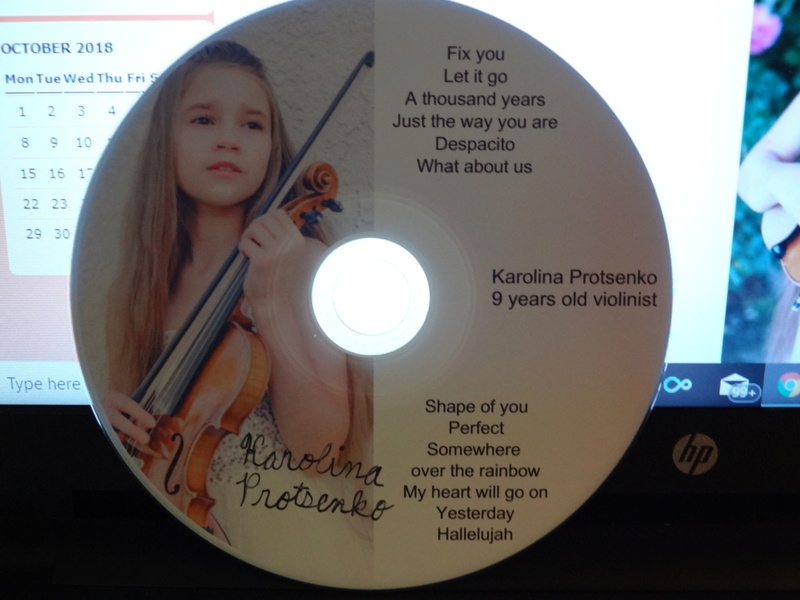 Karolina is from the United States and is a street festival performer and Youtube violinist. For some reason, this reminded me of the importance of the letter "r". For example, you don't want to leave out the "r" in "friend" if you tell someone "you're a real friend". Also, don't forget the "r" in "shirt" if you tell someone "I like your shirt". That's never good! It is beginning to look like an Allie Sherlock type of scene. I was representing my music school on some conference with Vivaldi Concerto a minor III movement. Another fan video that just pops up and I really like it! BTW--- it took some research to find out the translation of the word "despacito". It simply means slowly. That's SUPER, Bruce! Unfortunately, I sold my car after my mother passed away last year, and that was the only place where I played CDs. So I don't buy CDs anymore. That's great , Bruce! Surprised you got is so fast. Sorry to hear about your Mom, Garth! Doesn't your Apple computer have a slot to play CD's? My computer plays CD's and is especially good if I use my earphones and is terrible if I just play it without. I have an old inexpensive "Boom Box" that I use sometimes.